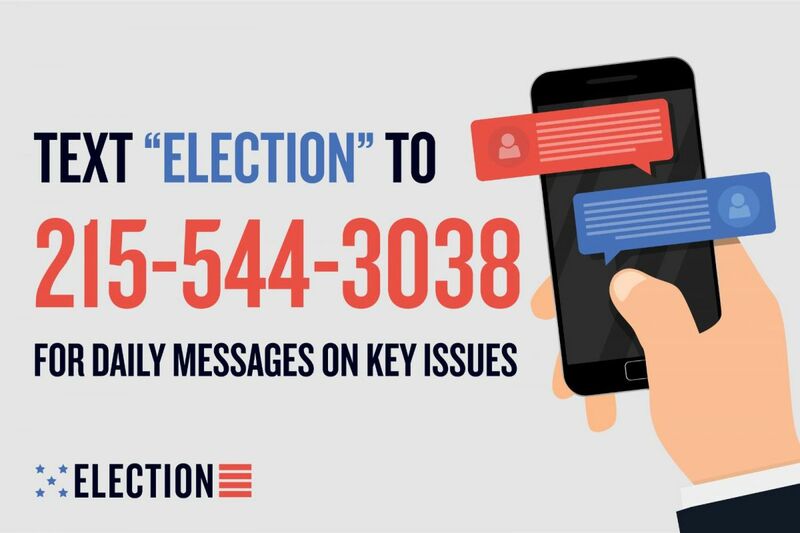 Text ‘ELECTION’ to 215-544-3038 to receive daily messages on key issues. This week, we enjoyed hearing from readers responding to our election text alerts with questions about gun control and gun rights. The following Q&A answers some of the questions readers asked over the course of the week. How can I learn more about my local election? Our guide to guns in the election highlighted a few Pennsylvania elections where guns have been a big issue. If you live in other districts, you can check out our voter guide, where you can choose your district and read an overview of local races. Just go here and enter any address in Pennsylvania, New Jersey, or Delaware, and we'll tell you who the candidates are. From there, you can do some research. Let's walk through it. I know who's running. How can I tell what their views are on guns? Here are a few key things to look for when figuring out someone's gun position. Support for the following measures generally indicates a candidate favors gun control: universal background checks, raising the age for buying semiautomatic weapons to 21, a bill allowing families to take out temporary firearms restraining orders against relatives in mental crisis, banning bump stocks or conversion devices, renewing the assault weapons ban, banning high-capacity magazines, and funding a gun violence study by the Centers for Disease Control and Prevention. Candidates opposed to stricter gun laws usually oppose those measures, indicate support for the Second Amendment, and support concealed-carry reciprocity, stand-your-ground laws, and arming teachers or officers in schools. Both groups support some school-safety measures, but many gun-control candidates oppose arming teachers in favor of changing gun laws. Read news articles and candidate interviews to find out who supports any of these measures. Visit candidates' websites and read the "issues" or "priorities" page, where they usually list their top concerns. Many mention guns; if not, that might signal that they don't consider the issue a priority. Is it true that gun-control issues are split down party lines? Often, but not always. It's true that in general, the issue has traditionally split in a partisan fashion: More Republicans oppose gun control while more Democrats support it. More Republicans are endorsed by gun-rights groups, while more Democratic candidates sought a Brady Campaign endorsement this year. In an April poll by Quinnipiac University, 24 percent of Republicans and 84 percent of Democrats said they support stricter gun laws; 70 percent of Republicans and 14 percent of Democrats said they oppose stricter gun laws. Fifty-six percent of Democrats and 2 percent of Republicans said the issue of gun violence made them more likely to vote for a Democrat; 48 percent of Republicans and no Democrats said it made them more likely to vote for a Republican. But there are always exceptions, and some measures, such as background checks, have garnered bipartisan support. In the Philadelphia region, U.S. Rep. Brian Fitzpatrick of Bucks County, a Republican, has been endorsed by all three major gun violence-prevention groups, and Republican Greg McCauley, running to represent Chester County in Congress, supports some of the gun-control bills touted by his Democratic opponent, Chrissy Houlahan. Short answer: Do a few minutes of Googling rather than relying solely on a candidate's party designation. Are any new gun-related policies up for a vote in the election? No. Neither Pennsylvania nor New Jersey has any statewide gun-related ballot questions. This election could influence national gun policy by changing the makeup of the U.S. House (and possibly state legislatures in some places): If gun-control candidates become a majority in the House, that would increase the likelihood of passing gun-control legislation. You can still sign up for our election alerts by texting the word “ELECTION” to 215-544-3038. Next week, the texts will break down how the economy, jobs, and taxes are playing out in campaigns.